Practice for all forms of the present simple and present continuous- affirmative, interrogative, and negative- with a Clifford theme. 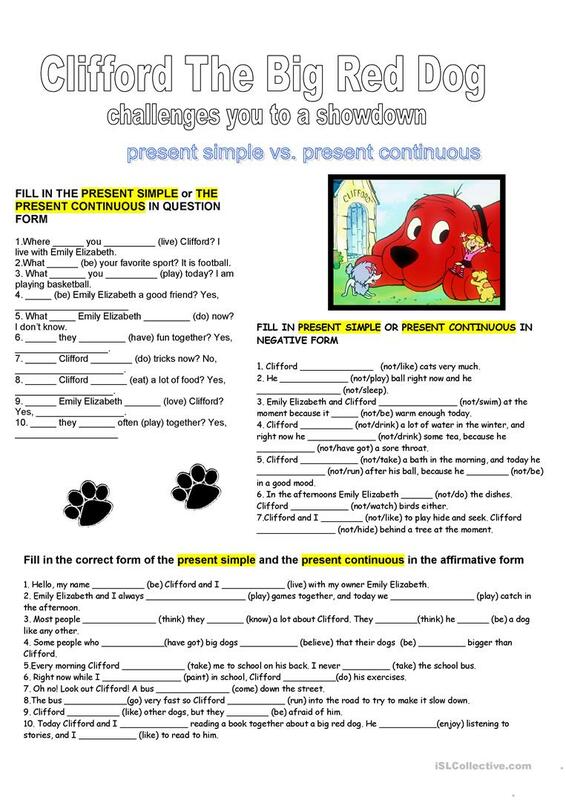 Children adore Clifford and he can be used as a jumping off point to review all the forms of the present simple and the present continuous. B&W included. The present downloadable printable is meant for high school students, elementary school students and adults at Elementary (A1) and Pre-intermediate (A2) level. 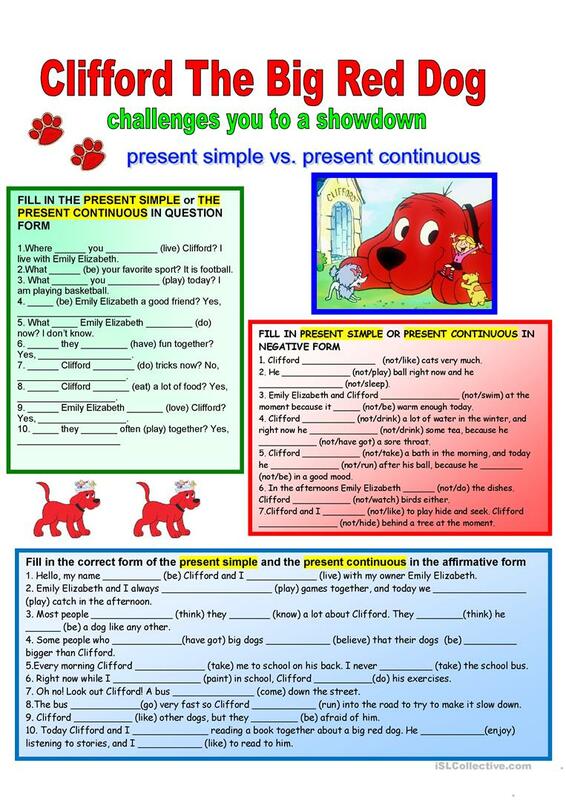 It is a useful material for revising Present simple vs continuous (progressive) tense in English, and can be used for enhancing your students' Writing skills. It is focused on the theme of Animals. kifissia is from/lives in United States and has been a member of iSLCollective since 2011-10-12 07:37:58. kifissia last logged in on 2019-04-18 13:53:14, and has shared 385 resources on iSLCollective so far.